My papaya obsession. I’ve been eating half a papaya filled with nut-butter, chocolate avocado mousse and fruits as lunch after I do my yoga practice. I’m basically pooping rainbows and I LOVE IT. Thanks to our New Orleans trip, I’m now a fan of mezcal tequila. Particularly when paired with grapefruit juice, fresh basil and a little bit of fresh cane syrup. That shiz is dangerously good. Oops now I’m in love with enamel pins! So I guess I gotta get me a roughed-up jean jacket to act as the backdrop for all of the La Croix pins I’m about to buy. I love this beer coozy too much and also everything from Shop Bando. Also I just started following Shop Bando's owner Jen Gotch (@jengotch) on snapchat and everything is gonna be ok now. I got to meet Brittany of Eating Bird Food IRL on Friday and GREAT NEWS she’s a mega babe and real easy to talk to. I adore her. My brother is getting married this weekend! I’m going to embarrass him with romantical poems. This book! Hallelujah! I’ve been following Lindsay of Dolly and Oatmeal for almost two years. Her recipes and photography I would say have been a significant inspiration on my blogging journey. And I’ve loved seeing her grow, get recognized and now publish a freakin’ book! I’m incredibly excited to cook through this gorgeous, seasonally-inspired tome dedicated to chickpea flour. And I’m stoked to share a little snippet from it with you guys today! As soon as Lindsay asked me to make a recipe from her book for the blog I knew I had to make cake. You know, developing gluten free dairy free baked goods isn’t easy folks. And the pastry and sweets recipes on Linday’s blog are impressive to say the least. Her chocolate cake is a household staple for birthdays in the Byrd house. Her pie crust is phenom. 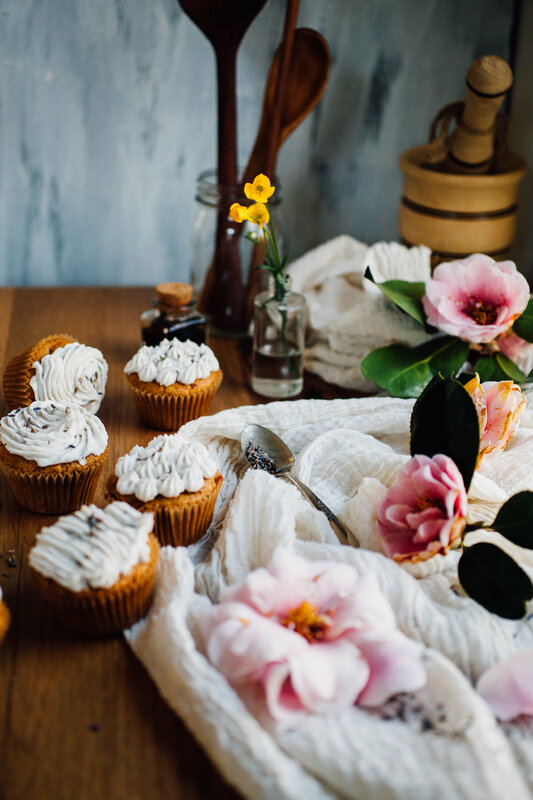 And these cupcakes, following suit, are tender, sweet, wholesome and decadent all at once. 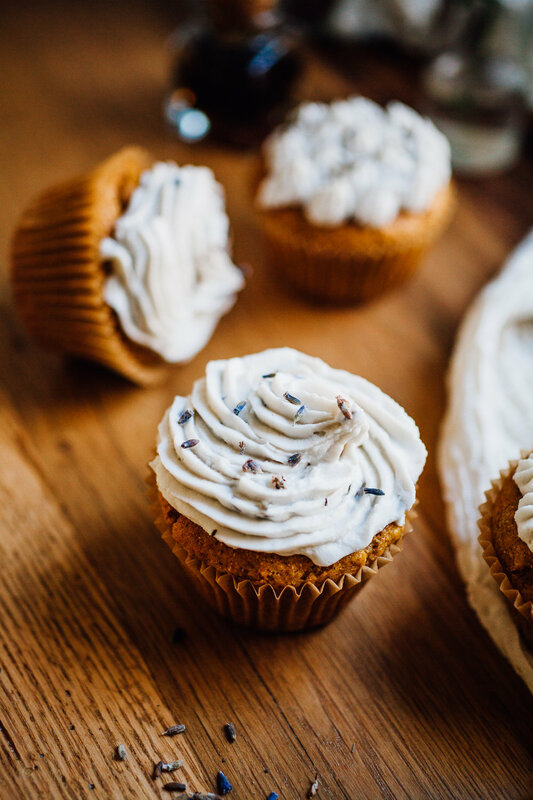 The coconut cream frosting is a dream. The cake itself is kin to yellow cake — moist with a subtle crumb. Flavor wise, I would say these taste a lot like a white whole wheat cake. Mild with a nutty depth. And all that from a cake made with chickpea flour, brown rice flour and a touch of arrowroot. You can get Lindsays book, Chickpea Flour Does it All, on Amazon here! Or through other distributors via her publisher here. p.s. 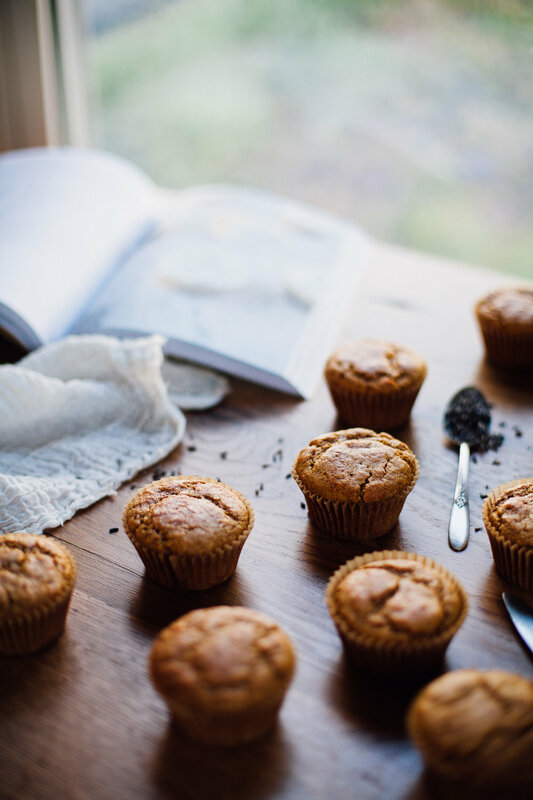 Enter a giveaway to get a copy of Linday's Book, Chickpea Flour Does it All, on her blog! 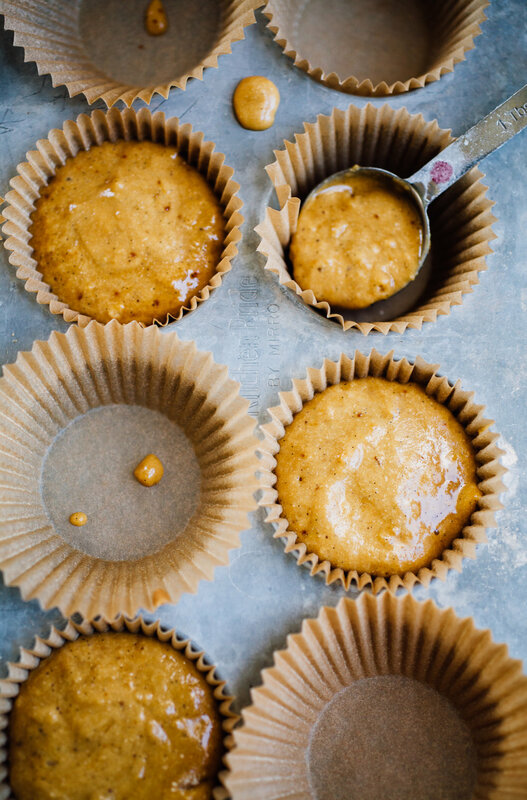 Preheat oven to 350°F (180°C) and line a twelve-cup muffin pan with liners; set aside. Using an electric mixer, beat together the sunflower oil and sugar on medium speed until the sugar is dissolved, about 1 minute; mix in the eggs, almond milk, and vanilla. Set aside. In a separate bowl, whisk together the flours, arrowroot, baking powder, and salt. Using a rubber spatula, add the dry ingredients to the wet until combined. While the cupcakes are cooling, make the lavender cream. Remove the coconut milk from refrigerator, turn the cans upside down, and remove the bottoms of the cans. Carefully drain off the coconut water (reserve for smoothies or other uses), and scoop the solidified coconut cream out into a mixing bowl. With an electric mixer, beat together the coconut cream, syrup, coconut oil, and vanilla, until smooth and creamy. Fold in the dried lavender. Cover the bowl with plastic wrap and place in the refrigerator until ready to use. Frost the cupcakes with the lavender cream. Sprinkle the tops with extra lavender for decoration.